It was a busy week for Running Man’s giraffe as he jetted to Alaska, landed a role on Potato Star 2013QR3, and kissed nonstop. Time for some Running Man headlines! The big news around RM ratings concerns the lead in show, Barefoot Friends. This show – which was never really anything but an extremely messy and inconsistent concept (it was a travel show, nope a food show, nope a something show) deserved to be cancelled. It had its moments, I admit to having a lot of fun with parts of this series. Yet, Barefoot Friends suffered from a lack of concept and because of that I cannot really be heartbroken at its cancellation. So how does this relate to Running Man? Well, the drop in Running Man’s ratings have been partially attributed to the poor lead-in that was Barefoot Friends. It will be interesting to see how RM’s ratings fair as KP Star 3 takes its place. Come on show, get out of 4th place! Running Man’s maknae Kwang Soo has been one busy giraffe this week, starting with the announcement that he would appear in PD Kim Byung Wook’s newest drama Potato Star 2013QR3. Byung Wook previously produced High Kick Through the Roof which also saw Kwang Soo as part of the ensemble cast, so there is a definite connection here. Kwang Soo guest starred on the November 7th episode of Potato Star, showing a character that was Choi Sung Hyun’s first love. 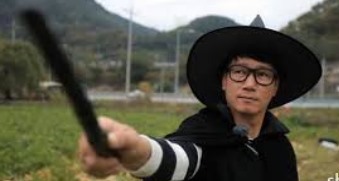 I am not watching this show (far too many episodes) but count me interested in Kwang Soo’s appearance. Apparently our Serengeti herbivore needed to cool down after his kiss marathon so he headed to Alaska. 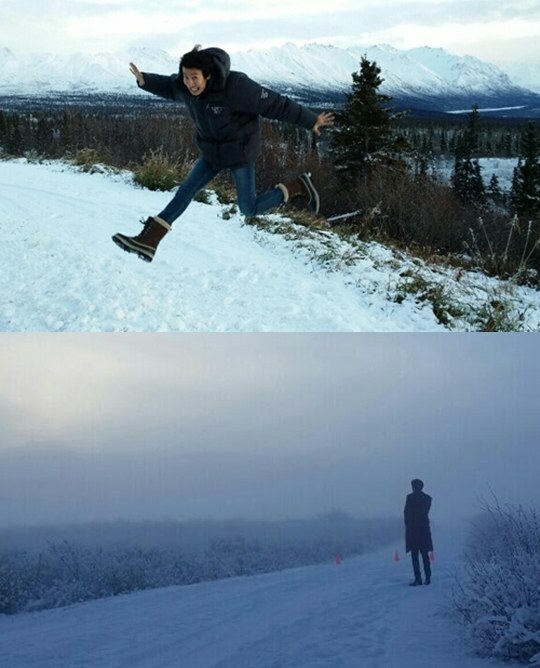 Kwang Soo shared some pics from the land of ice and snow on his twitter on November 5th, remarking that Alaska was beautiful. Someone should have filmed his trip, seriously I am betting it was entertaining as f — I mean entertaining as can be!